Your life isn't over after an arrest for DUI. If you act fast, you can help protect your future. The more information you access, the better prepared you'll be to make a decision about your specific situation. When you or someone you care about faces the serious penalties of a DUI conviction, whether it's a first offense, and especially if it's a second or subsequent offense, you can't give in to intimidation. Defense Attorney Joseph H. Low IV is committed to protecting his clients' freedom by standing up for equal justice. In identifying the weaknesses of a case, whether that involves mistakes on the part of law enforcement officers, chemical test errors, or discrepancies in a police report, Mr. Low works hard to reduce a client's charges, persuade the prosecution to agree to a lesser sentence, or negotiate for a dismissal. For a free consultation and to find out how Mr. Low can help, please call (888) 454-5569. The minute that you're arrested for drunk driving, action against you is already in motion. For instance, the officer who arrests you must send the DMV a copy of a notice of driver's license suspension or revocation as well as any driver's license taken into possession. It's at this point that the DMV will begin its administrative review evaluating any test results, the officer's report, and the suspension or revocation order. However, you are not at a loss. It's your right to ask for a DMV hearing, but you only have 10 days from the date of receipt of your suspension or revocation order. What Happens to My Driving Privileges After a DUI? A DUI has the power to significantly limit your privilege to drive a vehicle. Depending on the circumstances, if you refused or failed to complete a blood or breath test, or a urine test, you may face a 1-year license suspension for a first offense, a 2-year revocation for a second offense within 10 years, and a 3-year revocation for a third or subsequent offense within 10 years. Even if you took a chemical test, if the results showed a 0.08% BAC or more, you may face a 4-month suspension for a first offense and a 1-year suspension for a second or subsequent offense. 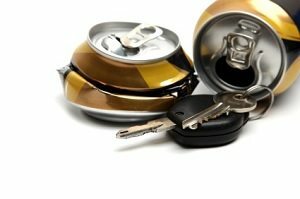 Are There Additional Penalties for DUI? One of the most challenging things about a DUI conviction is the steep fines involved. The cost of a DUI ranges from hundreds of dollars into the thousands. What is more, you may also be required to attend an alcohol and/or drug treatment program at your own expense. Probation can be presented to an individual in addition to or in place of jail time. Every case is different but the laws set under probation for misdemeanor and felony convictions are often strict. If a person violates any condition of his or her probation, the repercussions can be severe. As a DUI attorney who is known to defy the odds and take on cases that no one else will, Mr. Low's integrity and courage as a legal warrior provide his clients with quality guidance and representation. Mr. Low is passionate about what he does and applies a diverse set of defense strategies and techniques to get successful results. Contact The Law Firm of Joseph H. Low IV for more information about your rights. The Law Firm of Joseph H. Low IV Disclaimer: The legal information presented at this site should not be construed to be formal legal advice, nor the formation of a lawyer or attorney client relationship. Any results portrayed here were dependent on the facts of that case and the results will differ if based on different facts. Please contact Joseph H. Low IV to discuss your case.